Fixing that antique chair that is an heirloom and has been in your family for 150 years is not impossible. The process is not so much difficult as tedious. 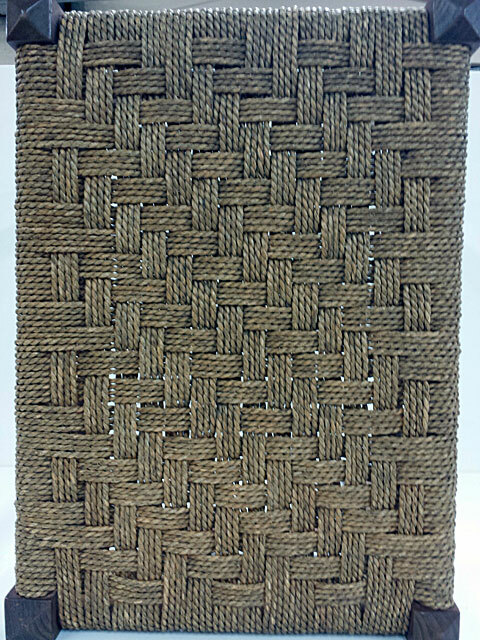 Anyone can reweave a chair if you take your time. Consider it a project for rainy days or when you have some extra time. 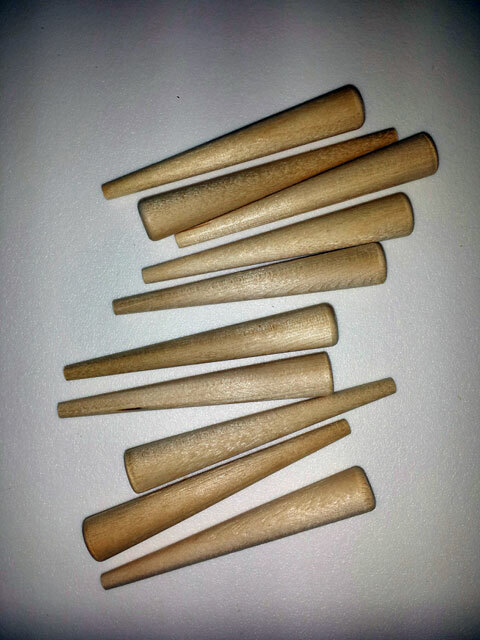 To begin with, you must determine which size of cane you require. This is done by measuring the diameter of the holes that surround the opening in the chair. Then measure the distance between the center of one hole to the center of the hole next to it. 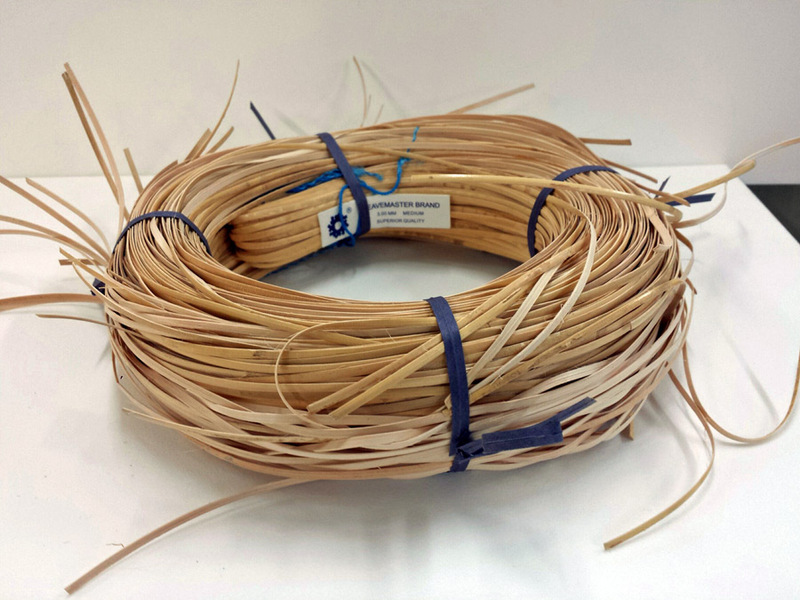 These two figures will determine the size of cane needed for your project. Please refer to the Cane Chart below with your measurements for proper sizing. Antique chairs were not created in a factory and as a result, they are not “machine exact” in construction or measurements. Check the holes in several different places to determine average measurements. 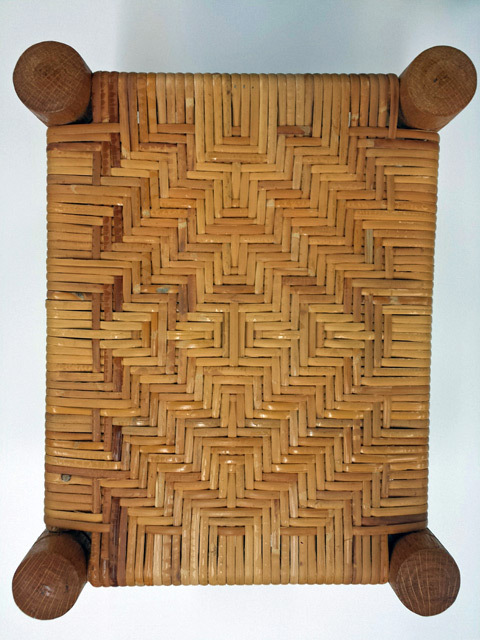 Remember, when re-caning a chair, you must pass the material through each hole several times to complete the pattern. If you purchase a cane that is too large, you will not be able to finish your project. Take care to determine the hole size properly !! 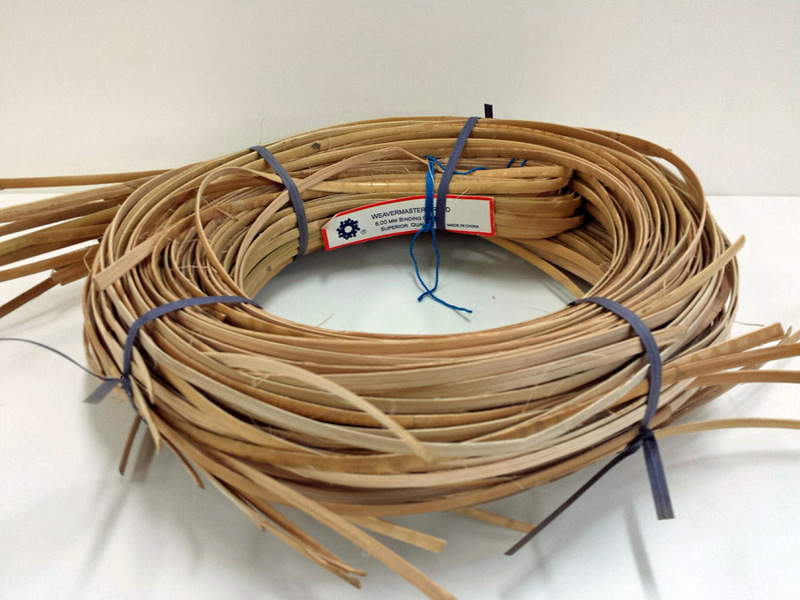 Each full hank of cane should be enough to finish 3-4 average size chairs. 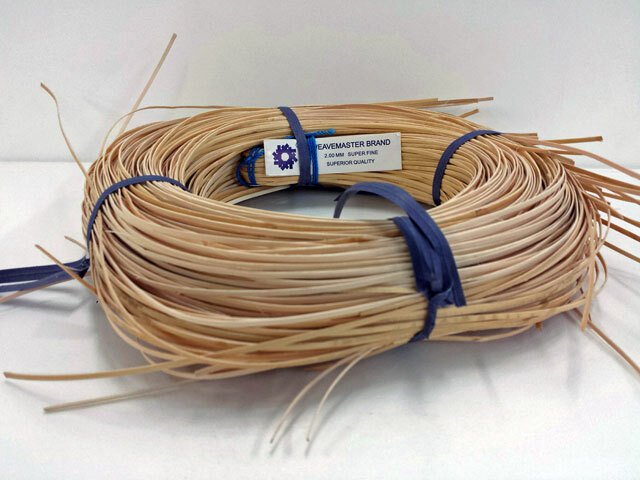 * Spring Special * Purchase any (2) hanks of Strand Cane and get a 10% discount. 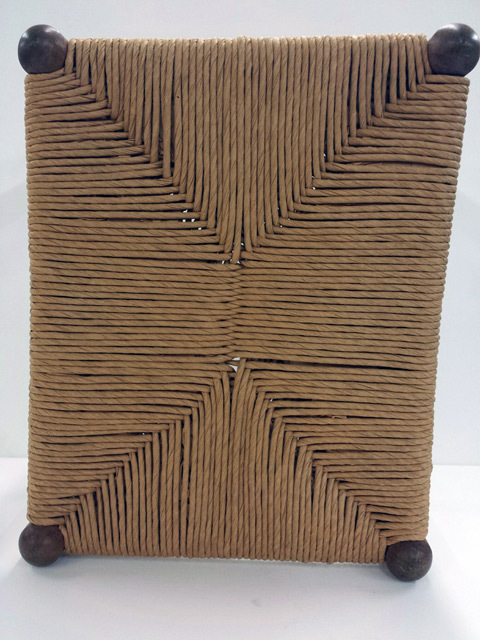 Prewoven cane can be utilized in certain chairs that has a grove cut into the chair surrounding the main larger hole. In these types of chairs you need to measure the size of sheet cane you will need to cover the chair from grove to grove both front to back and side to side, and also allow a slight amount extra, as you need some to work with and some to be glued down into the grove. 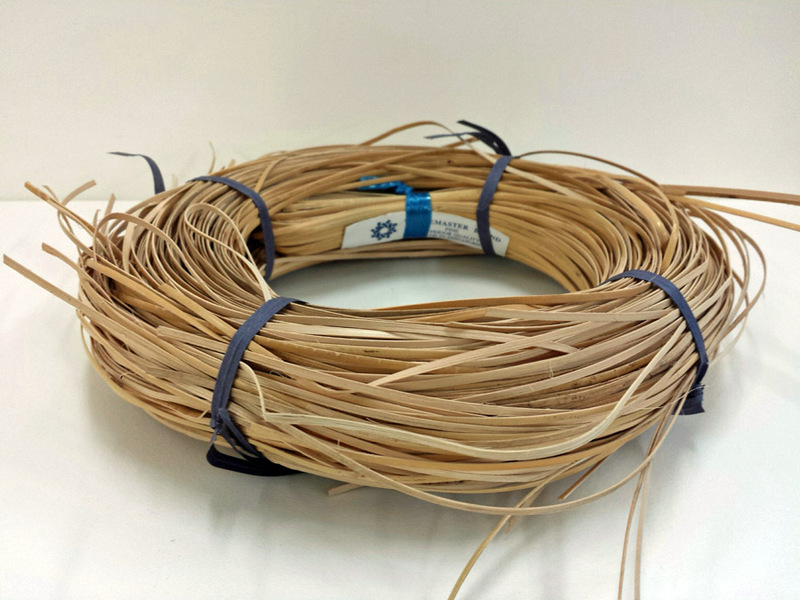 In addition, carefully measure the width of the grove as there are different sizes of spline that will be glued down into the grove along with the cane, and the length of spline that you will require to complete the circumference of the opening. By far the most common grove width’s are 3/16″ and 1/4″. 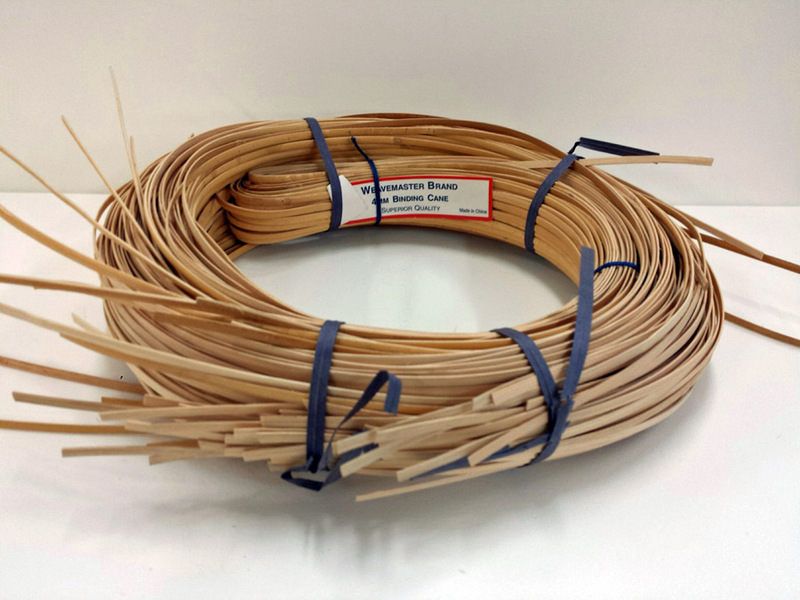 Spline comes in random lengths and we will do our best to supply you with what you request with some slight length overage. 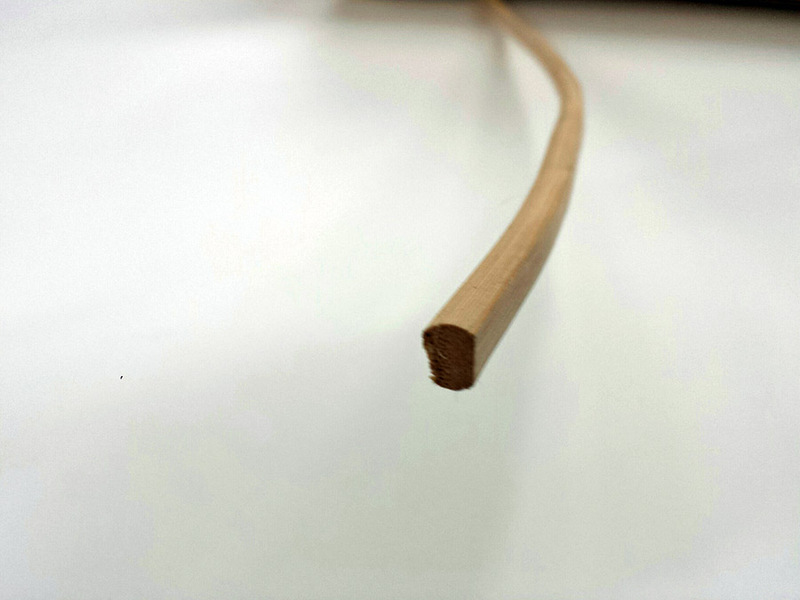 Spline is in a wedge shape, and the narrow side goes down into the grove in the seat. this will leave you with enough room to get your cane and some good grade wood glue into the grove. 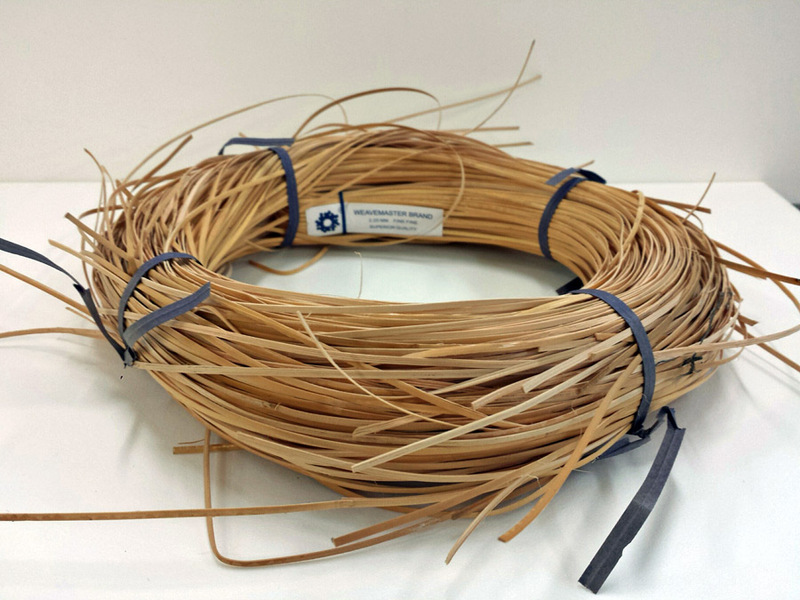 Spline is $ .25 p/foot in either 3/16″ or 1/4″ widths. 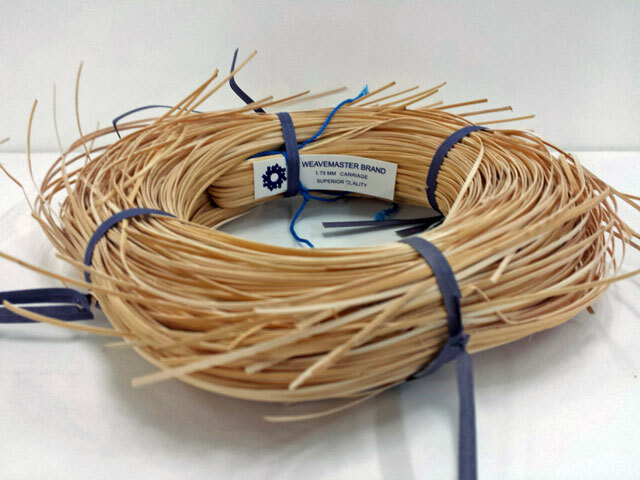 All materials should be soaked in warm water for 15 – 20 minutes before use to make them slightly more pliable. They will tighten up some as they dry. Snug is good for installations. The smaller size reed you choose, the more intricate your chair seat will look, but the longer it will take for you to finish. 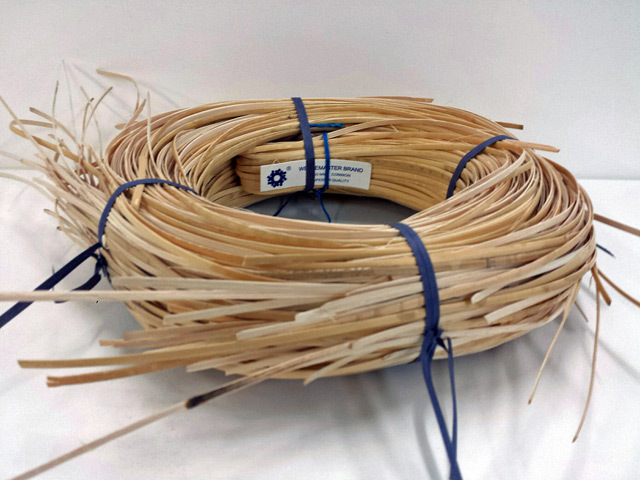 The larger size reed you choose, the quicker you will finish, but your chair will not have that intricate of a pattern to show off. By far, the most common sizes used in chair seating are 1/2″ and 5/8″ wide, followed by 3/8″ or 3/4″ depending on how fast you wish to finish, or how intricate you wish your chair to look. A full 1 lb. 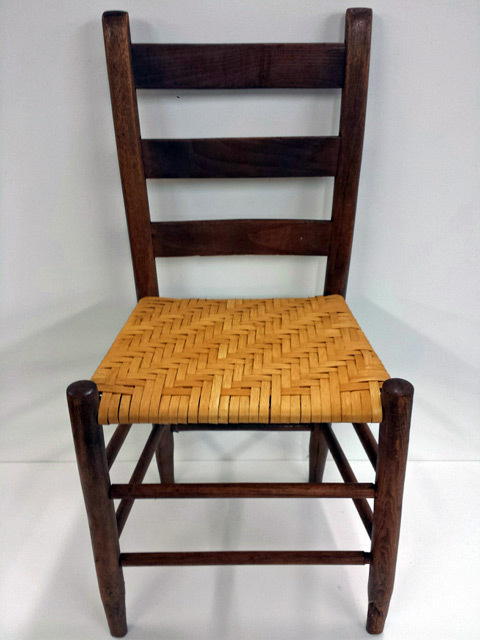 hank of 1/2″ / 5/8″ reed will finish your average size ladder back chair with some material left over. That being said, every chair is different and your own creation, you may use any size you wish. 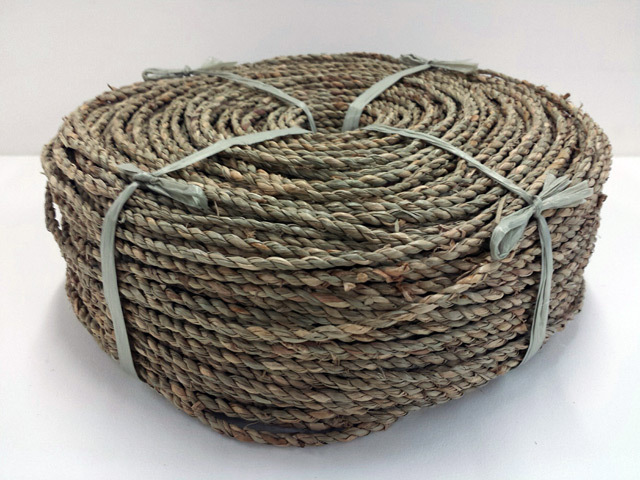 Is a 2 ply rope like braided grass. Generally green in color when produced. There are some variations as it is hand twisted. #3 is the size generally used for seat/stool weaving, located below. 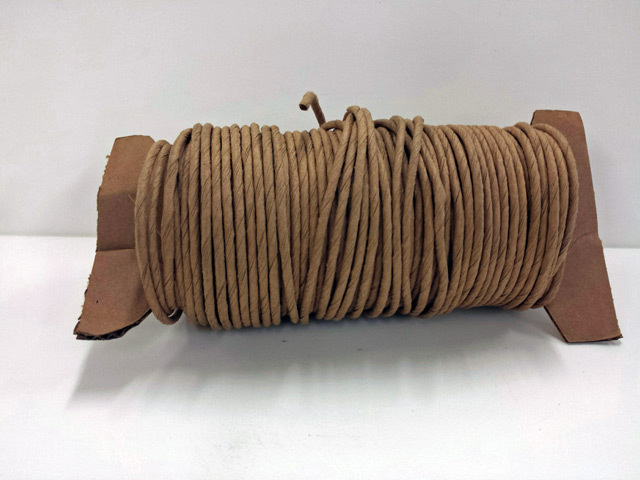 Kraft Kord is a heavy brown twisted paper, sometimes called Fiber Rush, or Paper Rush. It comes in long continuous lengths that are generally sold by weight. 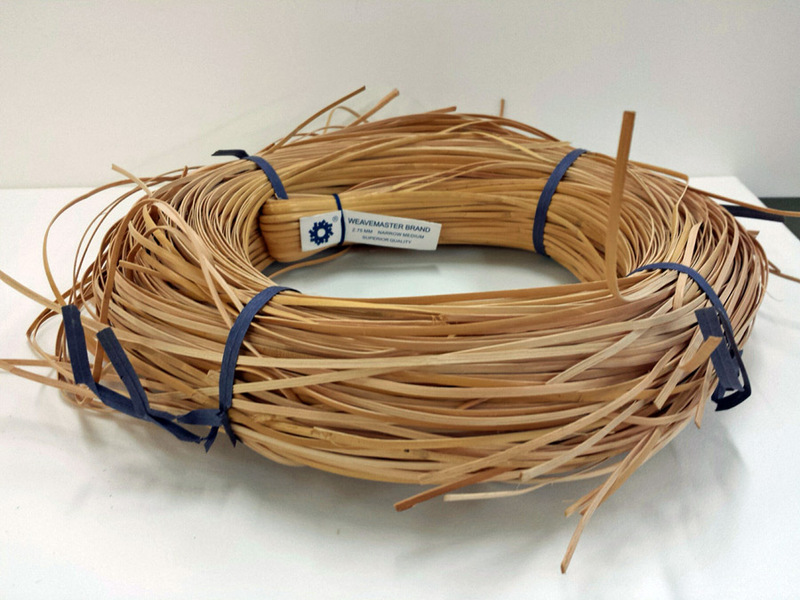 It is made to resemble twisted Bull Rushes. It makes good seats for indoor or covered furniture, but do not leave chairs or stools outdoors other than on a covered porch or they will be ruined. A 2 lb. roll will do an average 14 x 14 sized chair. 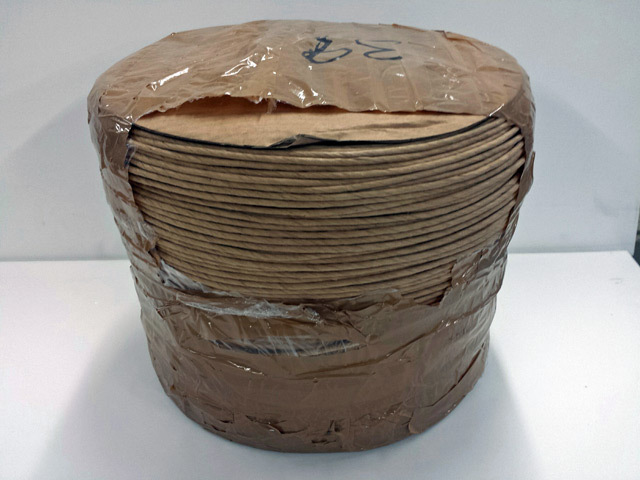 In addition we stock bulk spools that randomly average between 35 – 40 lbs. 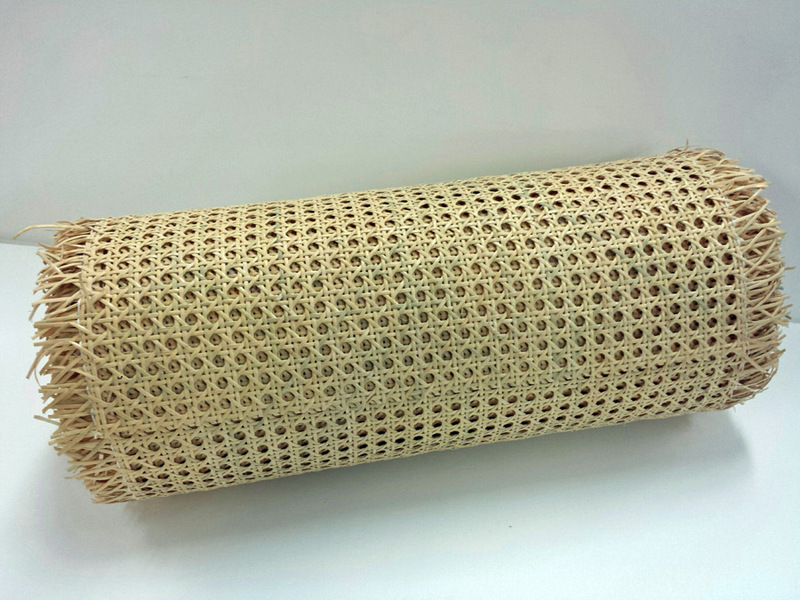 We stock 6/32″ size in Kraft Brown.